Acupuncture can be used to treat a variety of problems whether they be physical, emotional, mental or spiritual in origin. The emphasis is on treating the root of the problem, looking at the person as a whole, and restoring balance to allow the body’s own healing potential to take place. Acupuncture is wonderful for unlocking blocked energy. The feeling of being blocked may manifest in a number of ways, eg. frozen shoulder, recurring headaches, failing relationships, or an inability to plan for the future. 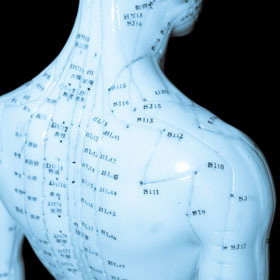 Acupuncture can make a real difference in these chronic conditions. The downward spiral of ill-health can be reversed to become an upward spiral of well-being. Patients who benefit from acupuncture usually report after a few treatments a sense of well-being even if their main problem persists. They know deep inside that they are on the path to recovery. There is also the potential to be well in ways never before experienced or imagined. It is possible with acupuncture to go beyond the removal of symptoms and begin to live a more fulfilling life.